Over the years, and long before we went digital, I have owned a few old Tri-ang Hornby and Lima Class 37s in various guises and I thought it would nice to share a few of them with you today. The first and, probably, the most famous of the Rovex Class 37s is the one shown above. Originally this locomotive was produced in BRc green livery and was available for just two years - from 1966 to 1967. Then, from 1968 until its withdrawal in 1976, the loco was produced in the BRe blue livery, seen in the photograph. 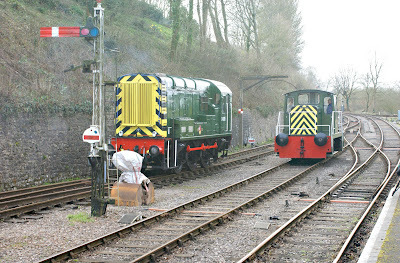 Both locos carried the same Running Number, D6830, and had the same Catalogue Number, R751. 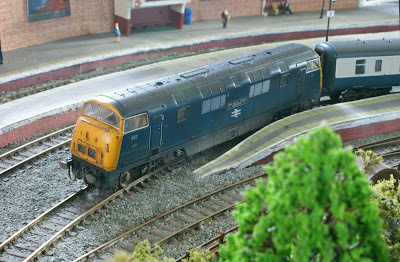 The next variant of Class 37 that I have here is 37073, again in BRe blue. This model was produced between 1980 and 1983 and has the Catalogue Nº R369. 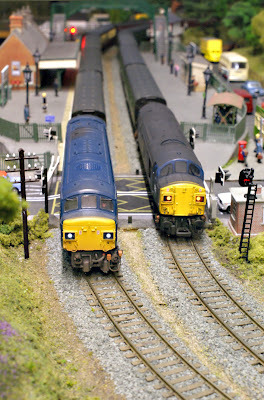 This next version is in BReLL bright blue livery and has the Running Number 37071. This version was in production from 1982 until 1985 and has the Catalogue Nº R359. A change of livery for our fourth loco here. This one is in BReLL bright green livery. She was available in 1984, only, and has the Catalogue Nº R365. 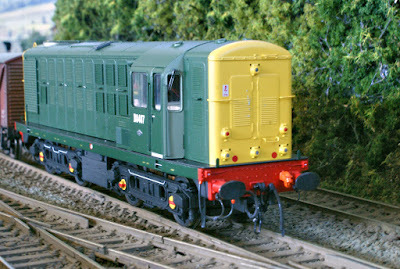 BReLL Railfreight grey is the livery for our next 37. This model also has a split headcode and has the Running Nº 37063. The Catalogue Nº is R348 and she was available from 1986 until 1989. The sixth loco that we have here brings us much more up to date with her striking Regional Railways livery. 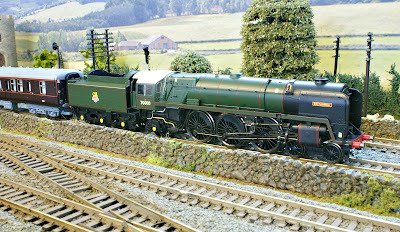 This is an ex-Lima Hornby RailRoad model, with the Running Nº 37414. The Catalogue Nº is R2775 and she was produced from 2008 until 2010. And, finally, as we have just mentioned Lima, here is an actual Lima model of 37180 'Sir Dyfed / County of Dyfed' in Railfreight all over grey livery. This model has the Catalogue Nº L205124 and was available for one year only, in 1987. Here we see the latest locomotive to be added to our ever-growing fleet. 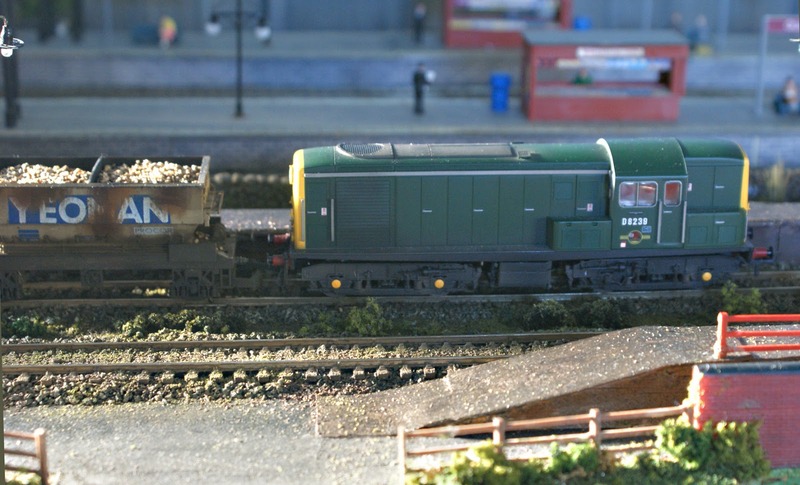 This is a Heljan Class 16, in BR Green Livery, with Full Yellow Ends. The Running Nº is D8407 and the Catalogue Nº is 1603. Currently she is fitted with a non-sound, DCC decoder, so at least she can be put to use. However, a sound decoder will be fitted in due course. 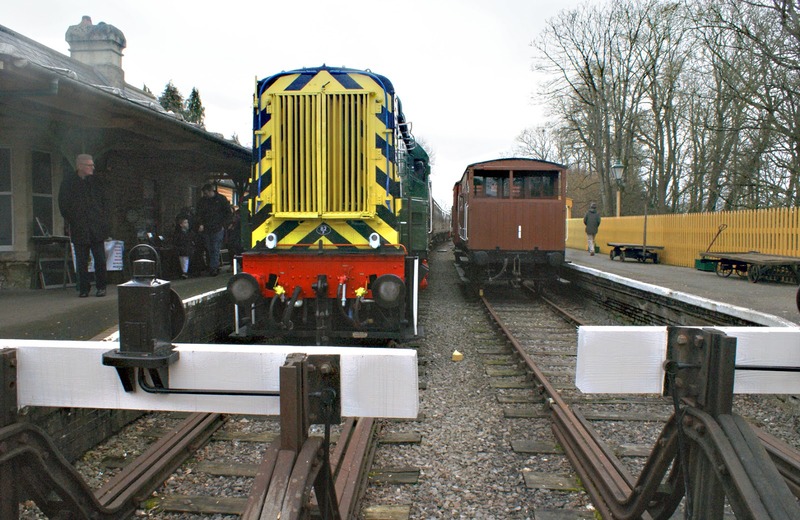 The Class 16s (together with the Class 15s) were constructed under the initial order for diesel traction, following the British Railways Modernisation Plan of 1955. They were built by the North British Locomotive Company of Glasgow and the locomotives were powered by the same Paxman 16-cylinder YHXL engine that was used in the Class 15s. 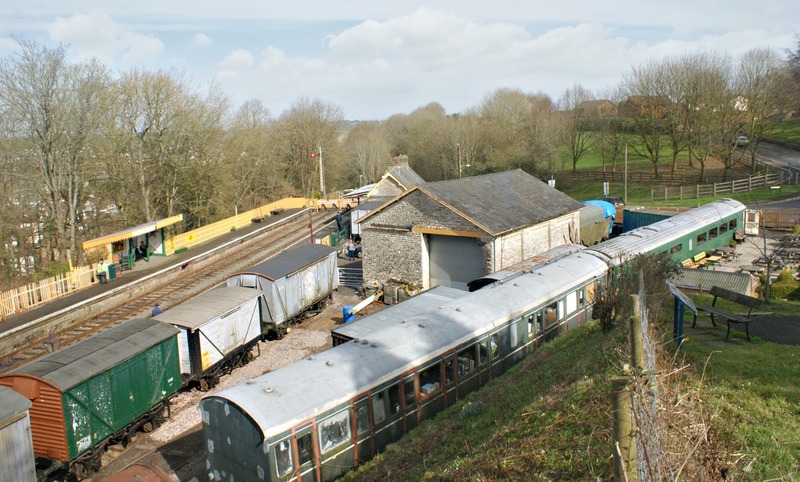 They were also built to the same basic design as the British Thompson Houston / Clayton; Class 15s and, when introduced in 1958, were initially shedded alongside ten of the BTH units at Devons Road Shed in Bow. Unfortunately these locos proved to be even less reliable than their stable-mates, with major failures of the diesel engine. This was due to the fact that, although it was of the same type as the engine used in the Class 15, inadequate ventilation of the engine room, coupled with a poor cooling system, led to the pistons having a tendency to seize. Another problem with these locos was the fact that they were fitted with an electro-magnet control system rather than the, more usual, electro-pneumatic type that was fitted to the majority of other diesel-electric classes. This restricted their multiple unit operation such that they could only work with other locos of the same class or with Class 28, Class 29 and early Class 31 locomotives. For much of their short working lives they were to be found on various lightweight cross-London freight trains, together with local trip freight workings in the East London area. Although they were not designed for passenger work they did find themselves, very occasionally, on Eastern Region relief trains and some inter-regional excursion traffic. However, the major problems from which the fleet suffered meant that the BTC cancelled the order for more, leaving them with just the ten pilot scheme locos. 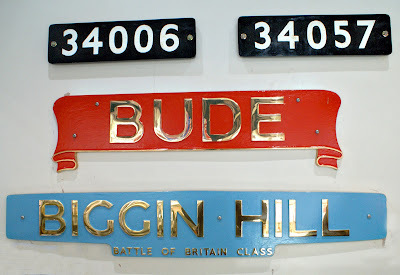 Their continuing technical problems, plus the fact that there was a dramatic decline in the type of traffic for which this fleet was designed, meant that they were quickly earmarked for withdrawal, with all locos taken out of service between July and September 1968. Sadly all of them were then sold for scrap and cut up meaning that none of them was to survive into preservation. Hopefully our model will have a more productive and happier life and, having tested her at the weekend, she does run very smoothly. As far as work on our railway is concerned she will, of course, be used on much the same type of trains as our Class 15 and Class 20s. 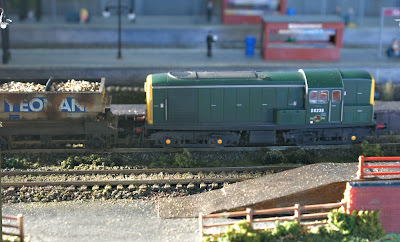 This will be, predominantly, goods trains plus some shunting duties and the occasional light passenger work. Here are some random images taken recently at different locations on the railway, beginning with the Class 42, Nº 842, 'Royal Naval Reserve' at Davemoor. 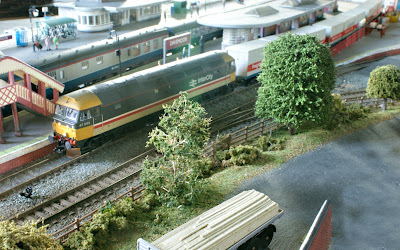 She is seen here about to depart with a south-bound express consisting of a rake of Mk2 coaches with a Mk1 buffet car. 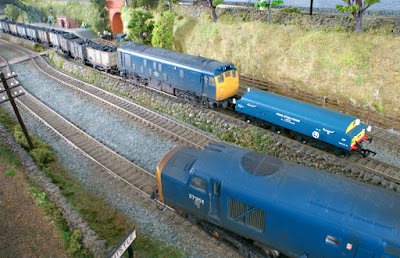 Next we see the recently added Class 47, Nº 47593 also at Davemoor at the head of a Freightliner train. Well, so much for her being used, primarily, on express passenger services! 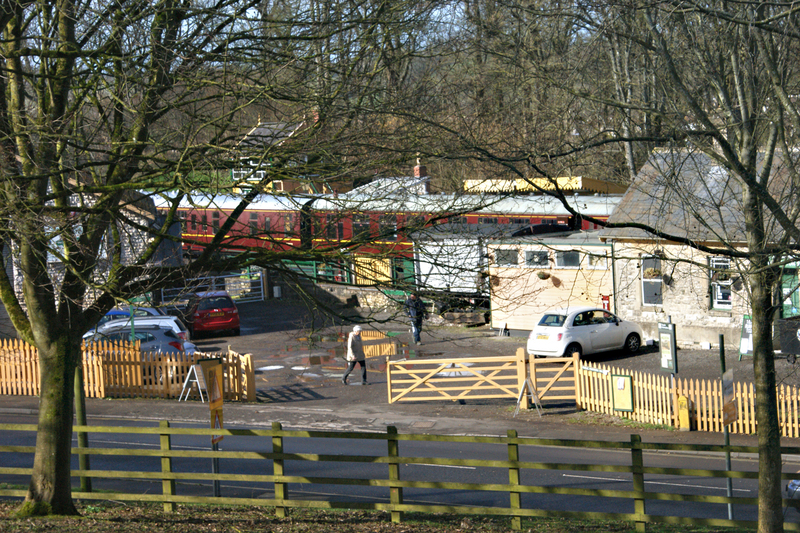 Viewed from the other side, we now see both trains at Davemoor and with an Aston Martin DB5 in the car park, can we assume that a certain Secret Agent is letting the train take the strain? From Davemoor we move to Carswater, the next station on the line, heading south. 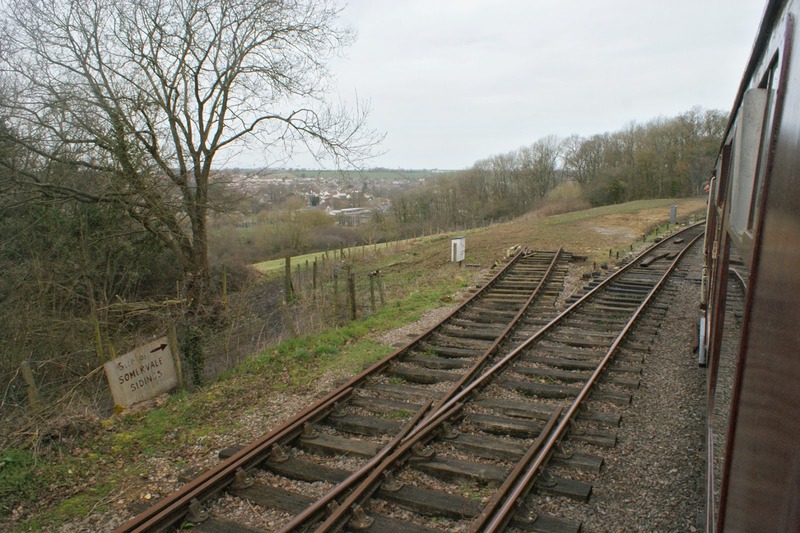 This station is approached via a single line, off the main line, and has a passing loop through the station. The trains above are both heading south with the Class 45, on the left in the first photo, in charge of an express using the loop to overtake a semi-fast hauled by the Class 40. 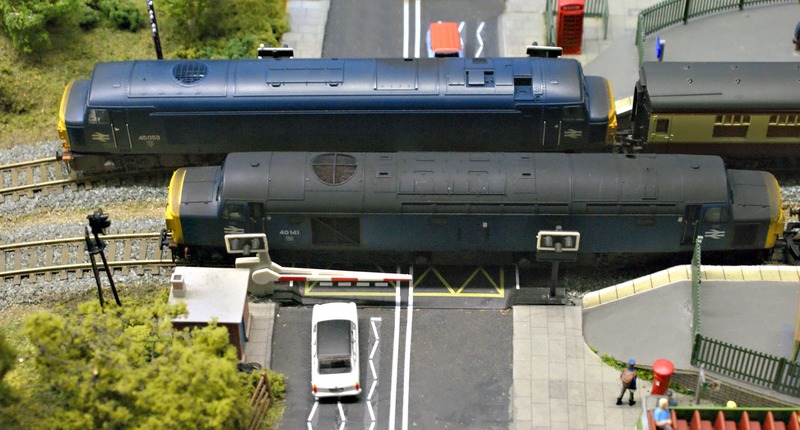 As can be seen, such movements, albeit somewhat rare, can be the cause of much frustration to drivers waiting to use the level crossing! 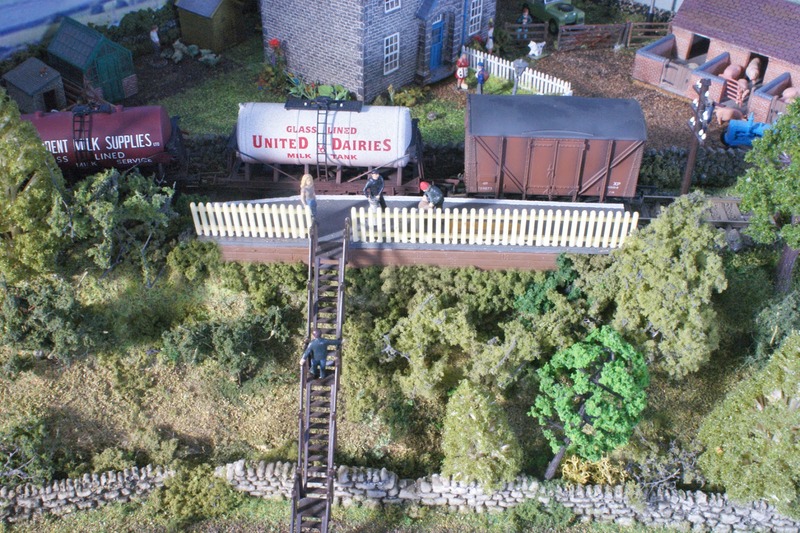 Moving, now, to the Gunnmere to Anchwood branch line, above, we see Folly View Farm, which recently acquired a small halt so that milk and other produce could be loaded onto pick-up goods trains for onward shipment to the big cities! 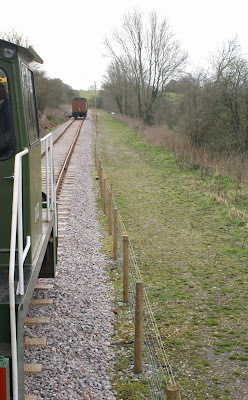 It can also be used as a request stop for occasional passenger trains so, quite clearly, the occupant of the farm is someone very important or is a big name in Lakeland Railway circles! At Gunnmere itself, we see Class 15, Nº D8239, basking in the late evening sunshine in the company of a particularly filthy Yeoman hopper. 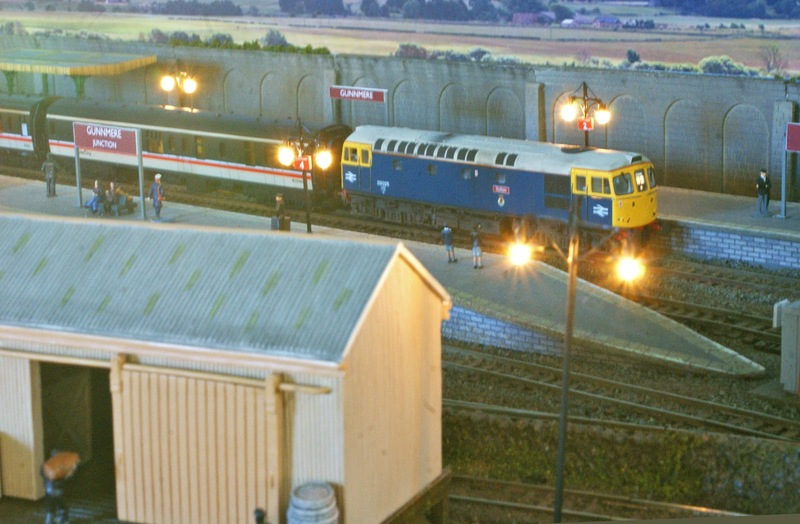 While, a little later and with the station lights now lit, we catch sight of 33025 at the head of a rake of those Inter-City liveried coaches on a down semi-fast. 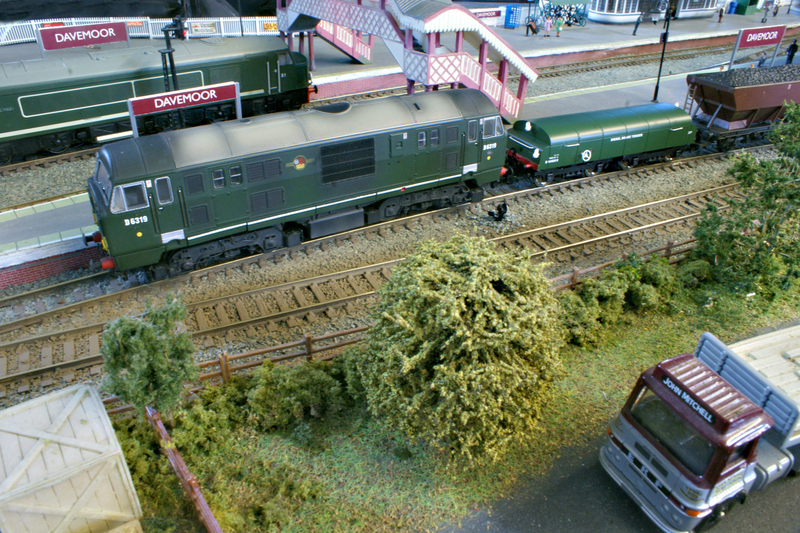 In addition to Britannia, two more Bachmann diesels have recently been added to the locomotive fleet - namely a Class 37 and a Class 47, both of which are fitted with non-sound, DCC decoders. 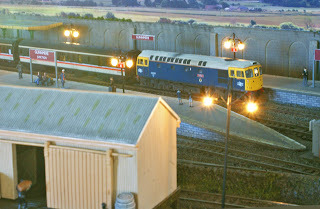 The Class 37 is a 37/5, Nº 37506 in Railfreight Red Stripe Livery with Flush Front. The Catalogue Nº is 32-387 and she is seen in the photo at the head of a rake of VGA vans. Currently she is in pristine condition although we expect that to change in time. Her primary role will be for hauling goods services but, I daresay, she will also be called upon to haul the occasional passenger train. 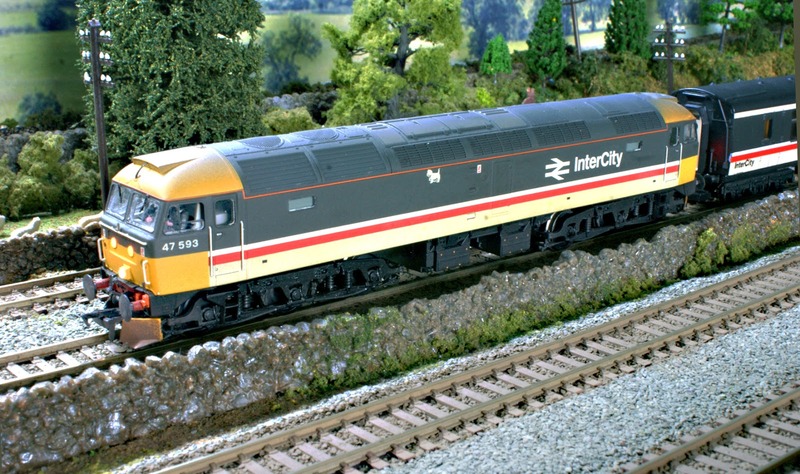 The Class 47, meanwhile, is 47593, in Inter-City livery. 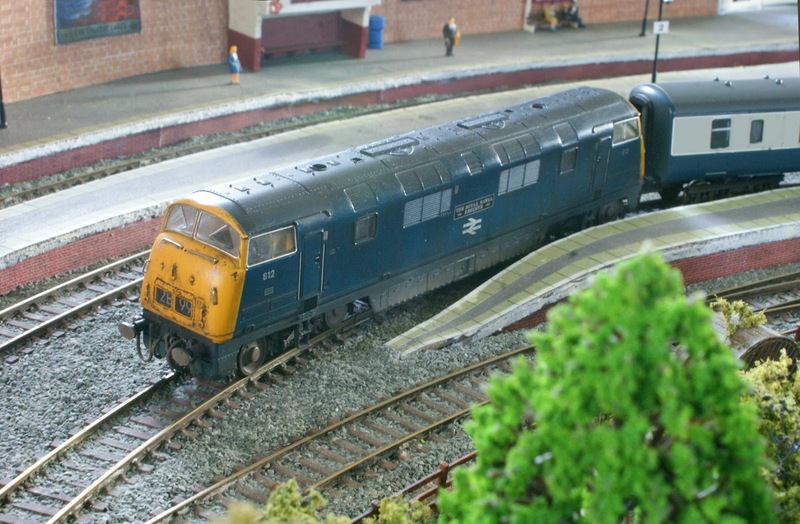 I picked this one up, second-hand and I believe it is a blue liveried Class 47 that has been repainted, renumbered and weathered. She has also been fitted with mini snow ploughs at either end and runs extremely well. She does need to have new aerials fitted but, apart from that, she is in a nice, grubby condition. The intention is to use her on express passenger services, primarily with the Inter-City liveried coach set, as seen above. 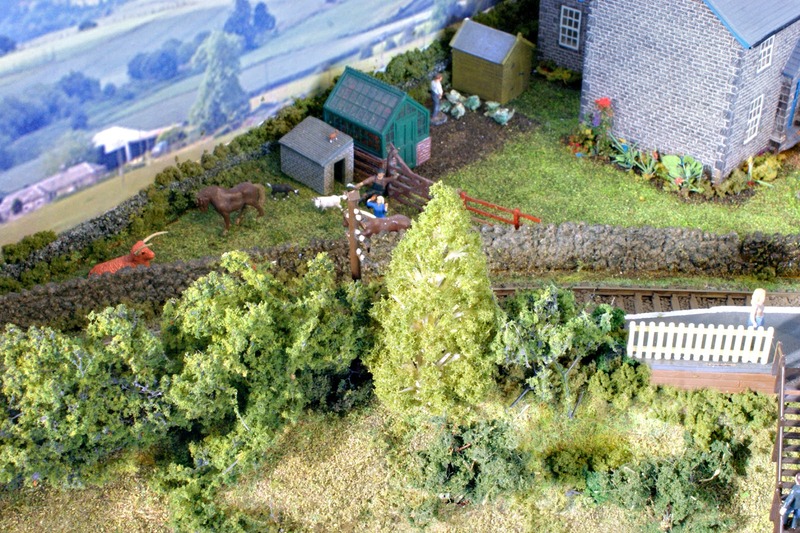 However, I am sure she will also be called upon to handle the odd goods train, as is the nature of things on the Lakeland Railway! Other recent additions to our coaching stock are a BR Standard GUV, also in Inter-City livery, and a Pullman Bar Car 'Diamond' Daffodil Bar, both by Hornby. 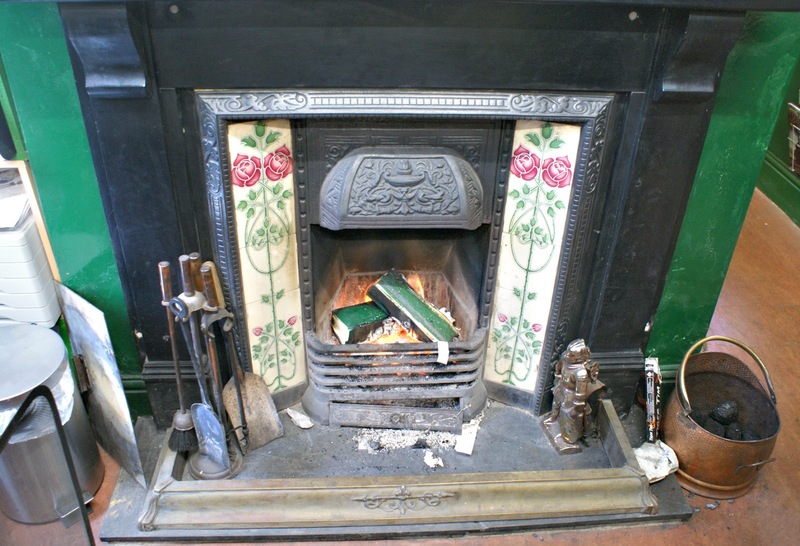 The GUV is in an excellent condition and is Catalogue Nº R6354. 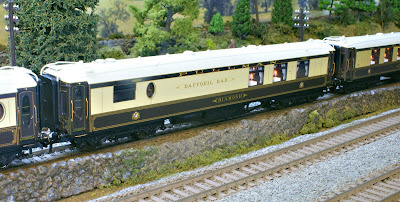 Its Running Nº is 64312 and it will be used, with similarly liveried coaches, on our Motorail Services, as shown above. Finally we have the gorgeous Pullman Daffodil Bar Car 'Diamond', both sides of which are seen here, with the table lamps lit! The Catalogue Nº is R4387 and, again, I acquired this second-hand and without a box but it is in an excellent condition and perfectly complements the stock of Orient Express Pullman Cars that we have. Since acquiring the Hornby Diamond Jubilee Train Pack recently, it has meant that there is now an addition to our ever-growing fleet of steam locomotives, namely BR Standard Class 7 4-6-2 'Britannia' Nº 70000. She has a white cab roof to signify that she is on Royal Duties but, rather than repaint her, we will probably use her, with a white roof, for the occasional non-Royal' special. I am sure Her Royal Highness will not mind! At the moment the loco is DC only but that will be rectified in due course. In the above photo the loco is seen, looking suitably immaculate, at the head of the Royal Train. Over the weekend of March 8 and 9 Midsomer Norton (South) held a Diesel Gala and here are some of the photos that I took on the Saturday. 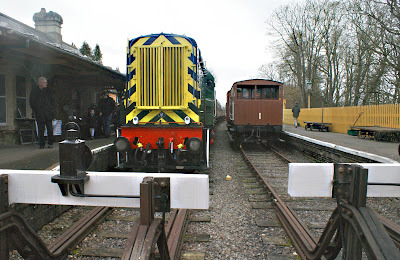 The diesels featured were their own duo of Class 08, Nº D4095, and Diesel Shunter, Nº 1120. The Class 08 was built by BR at Horwich Works in 1962 and then proceeded to spend all of its working life in Scotland. 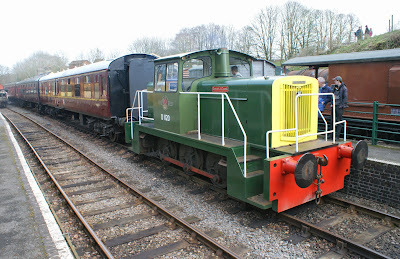 D1120, meanwhile, was built in 1966 by English Electric for the National Coal Board and was used at Lea Hall Colliery. 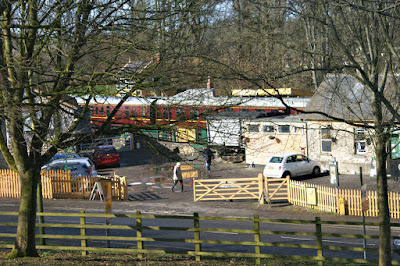 A view of the station from the other side of the very busy Silver Street. Another view, taken from the viewpoint near the Pill Box. 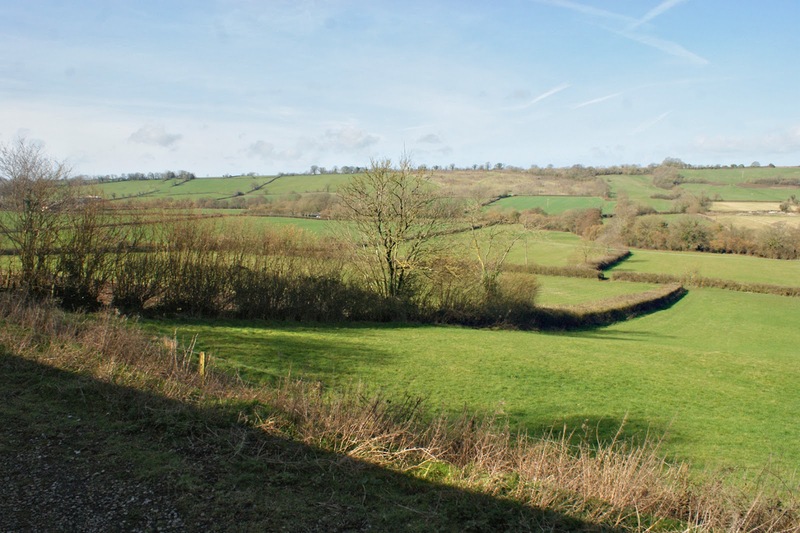 Looking north towards Radstock ... one day, perhaps! 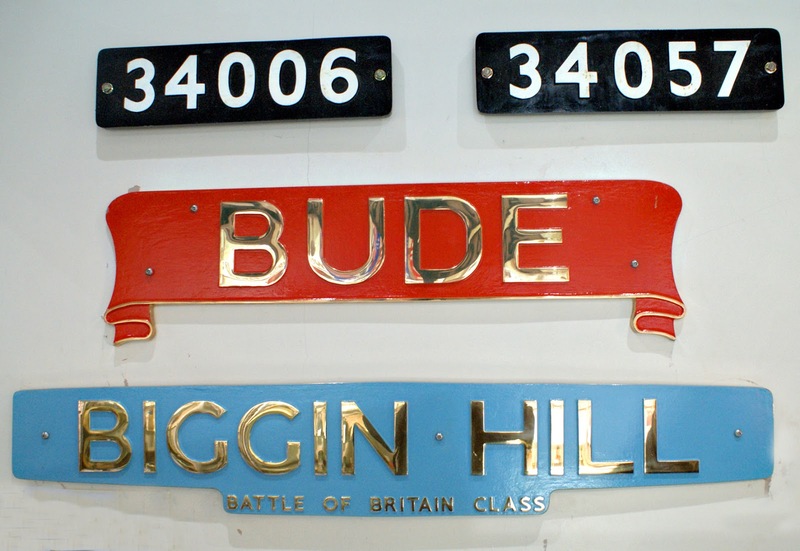 Names & numbers of Bude and Biggin Hill on show in the Museum. These locos headed the LCGB Railtour over the S&D on Saturday 5th March 1966. 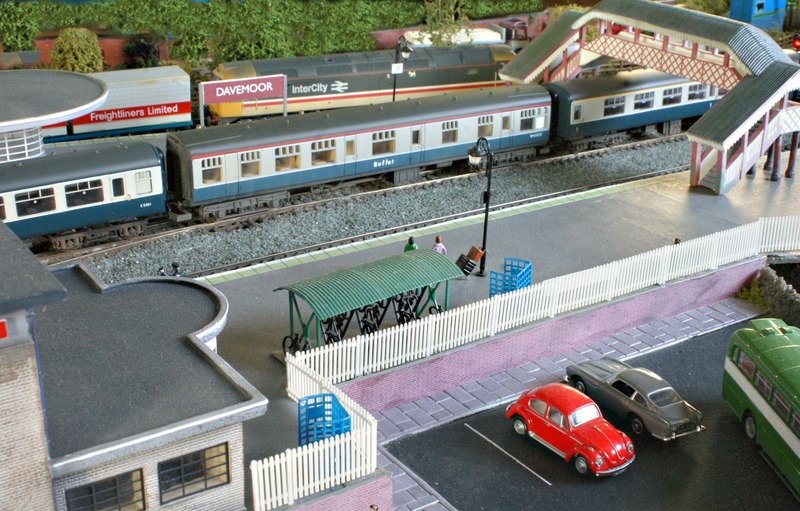 A busy scene at the station, as viewed from the buffer stops. 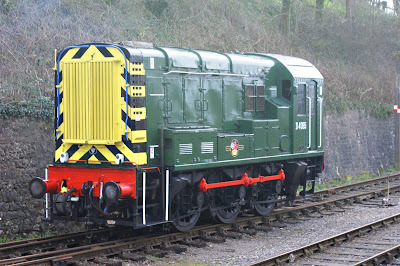 A closer look at the Class 08. While D1120 prepares to depart with the next train. 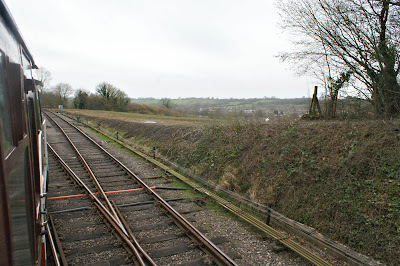 The site of Somervale Sidings. 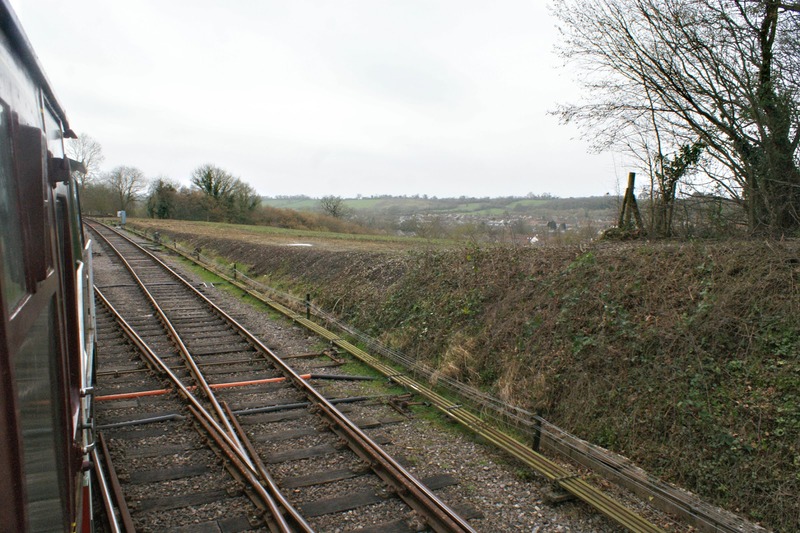 The entrance to Somervale Sidings. A great view from the train. 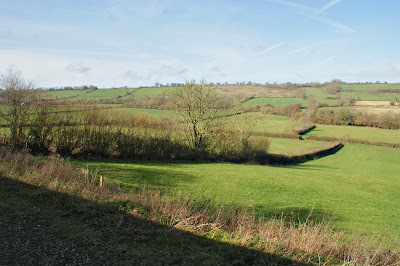 just before the infill leading up to Chilcompton Tunnel. A final view from the buffer stops. Followed by a brief warm by the fire before heading home! A Tender Behind - and In Front! 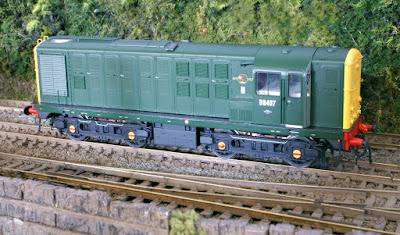 I recently acquired two of the new Dapol Diesel Brake Tenders, produce for Hornby Magazine and, currently, available through the Key Publishing shop - although they are selling quite fast, apparently. There were three different versions but one of them has already sold out! 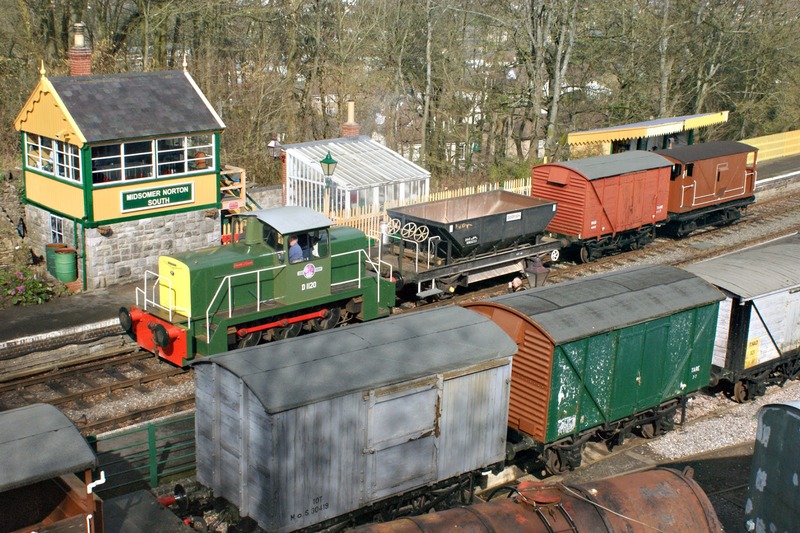 The first of the two that we now have on the railway is the one seen above, behind a Class 22 at Davemoor, our northern terminus. This tender is in plain BR green livery and there was a version in green with split yellow ends but this is the one that has now sold out. The Catalogue Number for the plain green tender is HM-DBT-014 and it has the Running Nº B964039. The second tender is in BR Blue livery with split yellow ends and ours is seen assisting a Class 25 with a heavy load of coal wagons. This tender's Catalogue Nº is HM-DBT-016 and it has the running Nº B964116. The warning lamps at each end of the tenders are factory fitted but are removable and, currently, our tenders are both in pristine condition, having only recently acquired them. However, I expect that both will be weathered in due course. 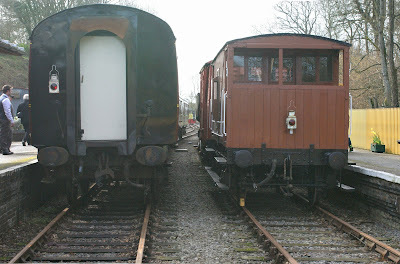 Diesel Brake Tenders were introduced in the 1960s to increase the brake force available to new diesels locomotives, which struggled to slow down unfitted goods trains due to the fact that they were considerably lighter than their steam locomotive predecessors. These tenders are based on the, later, round topped versions that were introduced in the mid-1960s. 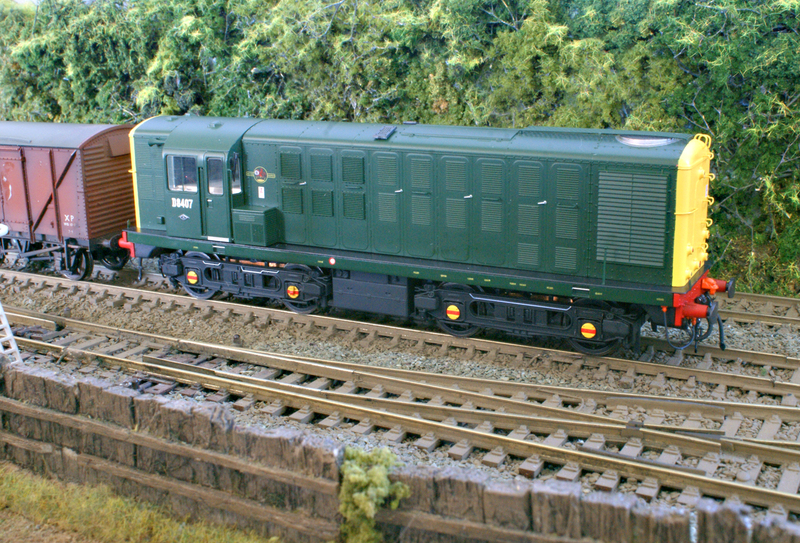 These models are highly detailed and have Gresley pattern bogies and are provided with optional dummy screw link couplings, should you wish to fit them.